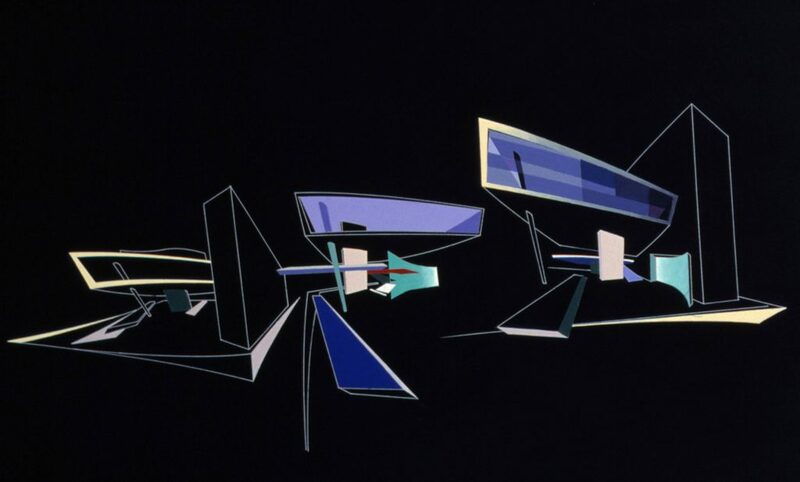 In terms of methodological investigation, the Zaha Hadid’s first works were the most fruitful. In them it explores and re-formulates searches of the forefronts of beginning of 20th century aborted by the political conditions of those years. The genetic root of these works waters in the language suprematista of Kazimir Malévich. The traffic for the work of the Russian artist began in his offer for his thesis of study, a hotel complex on the river Thames. The project adapts the morphology of the “arquitectones”. His purpose was not to take again iconographies of the modern movement, but a strategy forged for revealing new constructive fields from these works. Not imagination and the denial to any unsubstantial association with the color, Hadid turns them into new experiences. The retiring or nearby planes in the planitud of an abolished perspective, control themselves and expand to generate espacialidad. It multiplies the elements, uses rotations and axes curved to construct images of great visual dynamism. It manipulates the perspectives in order that his designs acquire pictorial character and enjoy a suggestive weightlessness. And for it his architecture is represented of the new programs for graficar in an own way. The tectonic sustenance to these complex figures, is nourished of the constructivismo. 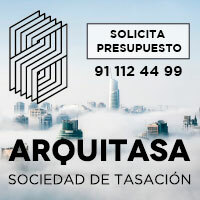 The architecture constructivista tends to be escenográfica express with bold formal solutions that it endorsed in his suitability to experience the new technologies. 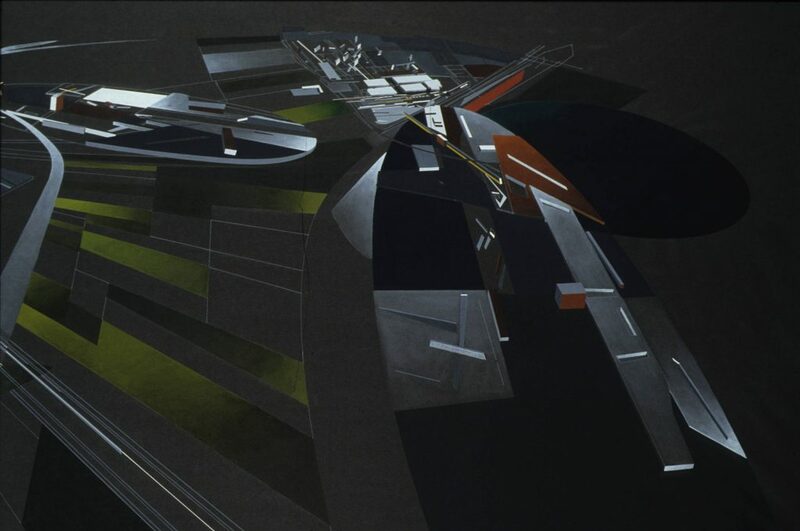 Hadid uses these resources to generate spaces so extravagant as spontaneous. The function is subordinated to conventions that are in permanent tension. The vertical thing and the horizontal thing are founded on new and sometimes arbitrary agreements. The planes and volumes that ensue from these operations defy the uprightness to construct precise and changeable expansions. When The Peak conceives the winning project of the contest for the sports club in Hong Kong, all these graphical speculations transform in a concrete project. The building had to be constructed in the hillside of a mountainous beak located in an end of the urban structure of the city. 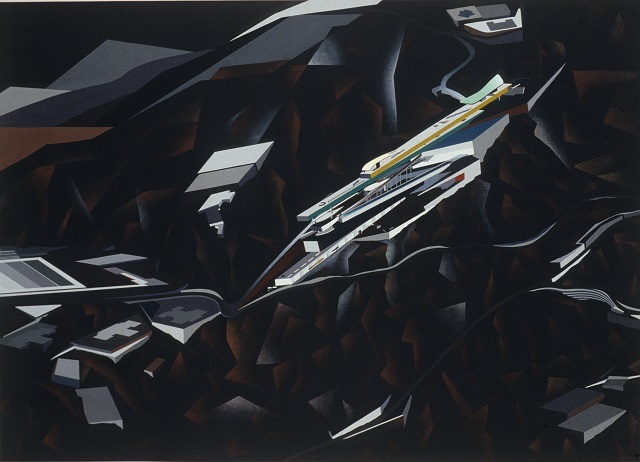 Hadid proposes a “geology suprematist”: horizontal planes with different angles that emerge of the hillside in different directions and get confused in the space as extension of the own mountain. The set assumes free, slightly cohesive and challenging forms of the gravity. An axiomatic contrast with the rigid constructed structures hillside below. These qualities repeat themselves in the building Tomigaya, where he proposes a pavilion of crystal over an emptiness. The top curved plane and the sloping columns of support establish again a dynamic and weightless image, though to reach this figure the principal functions are relegated to a low platform. 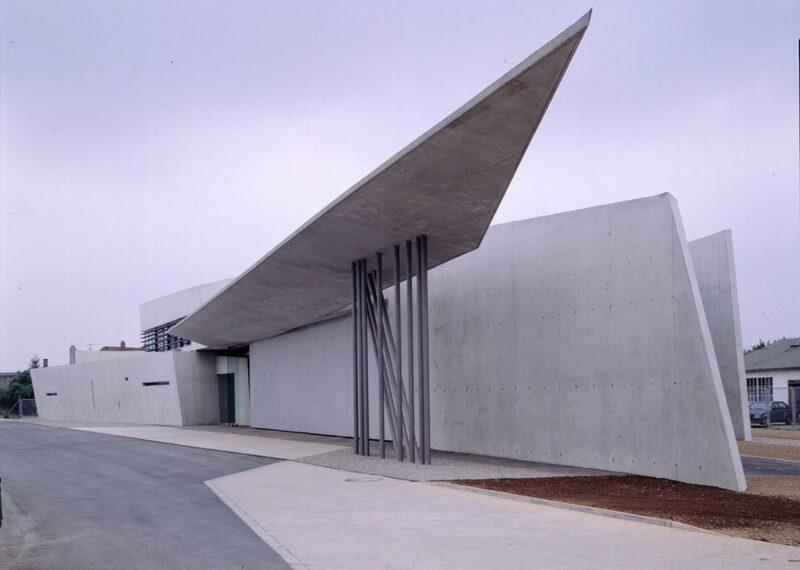 On the Vitra Firemen’s station, Hadid reaffirms the intensity of his geometric search, but the materialization of the building makes his limitations exposed. 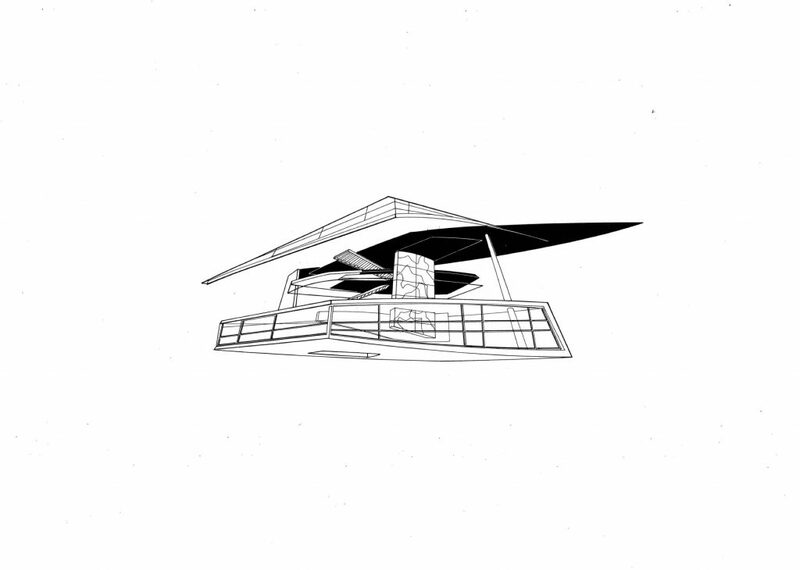 The design emphasizes vigorous planes that evoke the dynamics suprematista and the aspirations of futurist speed. Nevertheless, the abundance of lines and superposed caps does not prevent that the perceptive qualities of the concrete commit an outrage against the volatile sensation of his drawings. The set irrumpe vigorous, but it does not reach the extreme weightlessness of his graphical aspirations. 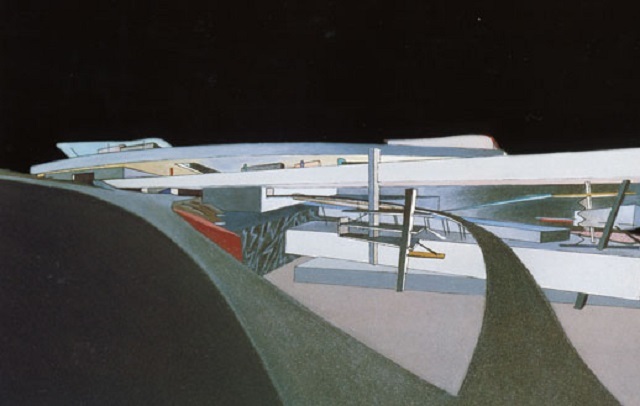 In the later years, Hadid’s architectural idea starts approaching the expressionism, and though it does not leave the influence suprematista, his designs lose the levity that it had imbued to his previous works. Nevertheless, the methodological opening of these projects incites to the investigation and the treatment of new relations between different formal conventions. Hadid confirms that it is possible to progress the character of the architecture from the most varied artistic expressions. Or, in any case, that is possible to rescue architectural investigations aborted in the recent history and them progresses to the context cultural current partner.